We look forward to seeing your dog for its' Annual Wellness Exam. Please review our Wellness Plans for your dog by clicking on the appropriate life stage: Puppy Wellness Plan, Adult Dog Wellness Plan, Senior Dog Wellness Plan. Preventive health care is important to keep your pet healthy. Our Wellness Programs cover the care your dog will need including unlimited office calls, comprehensive wellness exam, vaccinations, lab tests and discounts on a spay, neuter or dental cleaning. Wellness Plan services are discounted 10% off regular prices. We now offer a Monthly Payment Plan option to help you budget for your pet's important wellness health care. There is a one-time activation fee that will not be incurred again if the plan is renewed in one year. At sign up, you pay only the activation fee and the first monthly payment. We appreciate you reviewing and filling out forms prior to your pet's appointment. It not only helps us keep on schedule but you also have the time to review health recommendations and the surgical/dental procedures options. If you would prefer to fill out the forms in the office, please arrive 15 minutes prior to your appointment time. If you are unable to be with your pet at the time of exam or want to drop your pet off, please fill out the Day Admission Authorization Form. Thank you for your cooperation in getting prepared for your pet's visit. Day Admission Authorization PRINT IF YOU ARE UNABLE TO ATTEND THE APPOINTMENT. Please fill out if you are unable to be with your pet for it's exam. Dog Health Care Recommendations PRINT: Please review prior to your dog's appointment to see if your dog's health care is up to date. Provide dates procedures were performed. 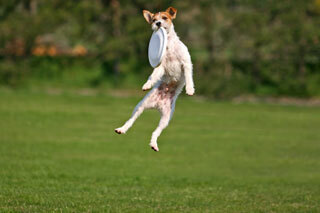 Bring the form with you to your dog's appointment. Dog Life Stage Health Care Recommendations PRINT OR REVIEW: Please review prior to your dog's wellness appointment to be sure its health care is up to date. Dog Risk Assessment Form PRINT: Please fill out assessment to determine your dogs preventive health care needs. Dog Vaccination Guide PRINT OR REVIEW. Please review prior to your dog's vaccination appointment to be sure your dog is protected! Medical History for Examination PRINT: Please fill out your pet's history prior to its' exam to help our staff be more thorough. Medical History for Record PRINT: Please fill out your pet's history prior to its' exam to help our staff be more thorough.